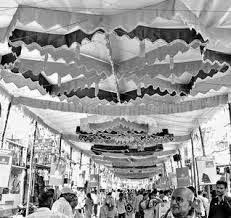 In order to improve the scope for liquidity management in the Indian money market, the certificate of deposits was introduced in 1989 and commercial paper was introduced in 1990 and since then it has been the endeavor of the central bank to give a boost to the penetration and stabilization of these two products in the Indian money market. It is a well-known fact that CPs and CDs exhibit contrasting market behavior: CP market gets activated amidst ample liquidity while CD market gets a boost in periods of liquidity crunch. It thus raises a question: Is there any relationship between CD and CP either in terms of issuance or outstanding balances? The other question is: Are they cointegrated and move in the opposite direction? This is precisely what has been examined by the author Varadraj Bapat in his article— “A Study of CD and CP Market in India: Cointegration Analysis of their Volumes”. The author has conducted Augmented Dickey Fuller test to ascertain that the concerning series are non-stationary and then carried out Johansen and Johansen Juselius’s cointegration test and VAR model ‘order 2’ to know the nature and the degree of long-run relationship between the outstanding under CD and CP market and found that the series are non-stationary and they are not co-integrated. With the advent of financial reforms, India has witnessed a tremendous change in the banking sector. New private sector banks have brought in severe competition to the public sector banks in terms of technology adopted and the resulting delivery of services and new products. A paradigm shift has been set in motion, as a result of which customer satisfaction has become the major driver of business growth. Against this background, the author, Nalini Prava Tripathy, analyzed the factors that are essential in influencing the decisions of the customers of Public Sector Banks to invest or not, in her article—“A Service Quality Model for Customers in Public Sector Banks”. The author has used Factor Analysis—an appropriate multivariate technique—to identify the groups of determinants of customer behavior. 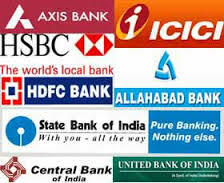 In this analysis, the author has used Principal Component Analysis and ranked the factors that represented the satisfaction level of the customers of the public sector banks: Core factor(5), technology factor(4), service behavior(3), price factor(2), environmental factor(2) and situation factor(1).